Urbanization in China has been a phenomenon of unprecedented scale, improving people’s lives but also presenting massive challenges to the country and its people. There are over 100 cities in China with a population exceeding 1 million today, and the number of major urban areas is expected to double by 2025.1 Pollution, affordable housing, and public transportation are just a few of the challenges an urbanizing China has faced in the last couple of decades, but the People’s Republic has demonstrated it is prepared to achieve international objectives as a developed country. As part of China’s comprehensive sustainability efforts, China’s government has been constructing eco-cities around the country, the most famous and successful project being the Tianjin eco-city. In an effort to meet carbon emission and pollution targets, as well as achieve the Sustainable Development Goals, China’s eco-city projects will create comprehensively sustainable urban spaces for hundreds of thousands–in some cases millions–of new residents. The newest eco-city project which Beijing has unveiled is called Xiongan and will house approximately 500 thousand residents in an area outside of Beijing. While the Tianjin eco-city has proved itself a qualified success, there are 3 important lessons which the administrators of Xiongan can learn from Tianjin. National Animation Industry Park in Tianjin, China. While there are a wealth of issues which eco-city projects are designed to address, by far the most significant of these is pollution and smog in urban areas. Beijing’s smog is a well-documented public health issue that continues to plague the capital city.2 Dozens of other major metropolitan areas across China struggle with significant air pollution from factories or even dust from the Gobi Desert.3 Tianjin’s eco-city solved air pollution problems in part by mitigating energy production from coal, something that is otherwise the norm in Chinese cities.4 Because the Tianjin eco-city is primarily powered by geothermal and natural gas, and also because of quality public transportation, air pollution has not been a problem in Tianjin eco-city. For Xiongan, it is essential to avoid using coal for energy or heating as much as possible, but this alone cannot prevent air pollution. 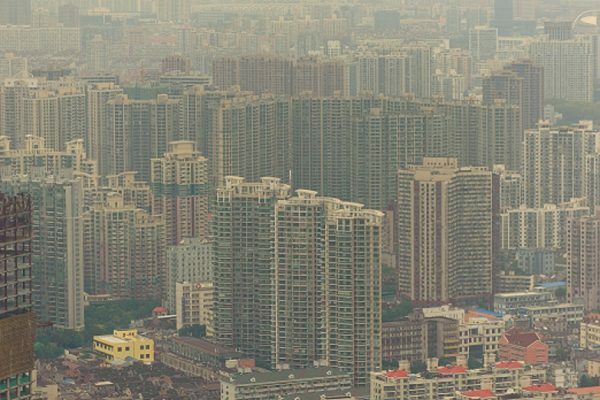 First, city planners should move away from the car-centric urban planning that has pervaded Chinese metropolitan design and opt for a less drivable and more walkable city to reduce air pollution. Second, Chinese city planners need to get very creative about preventing or resolving high particulate counts due to the Gobi Desert. Xiongan is not being built in a bubble, and city planners must deal with superficially distant environmental issues, because the ramifications are going to land extremely close to home. Desertification threatens the air quality of several urban areas in China’s northeast, and a resolution is imperative for Xiongan to be successful. While parks and other sustainable public spaces aiming to bring people together are under construction in Tianjin, the extent to which these architectural feats will represent true social inclusion is yet to be seen.7 Tianjin’s eco-city lacks actually-existing sustainability, collective ownership of the city by residents and a human-oriented built environment.8 By fabricating city blueprints with profit and carbon output reduction exclusively in mind, Tianjin eco-city’s planners have inhibited the organic development of culture and personality. For Xiongan to succeed in social sustainability, an effort must be made to bring in ethnic minorities and heterogeneous class groups. Lesson 3: Affordable housing is key to an eco-city’s long-term viability and inclusivity. 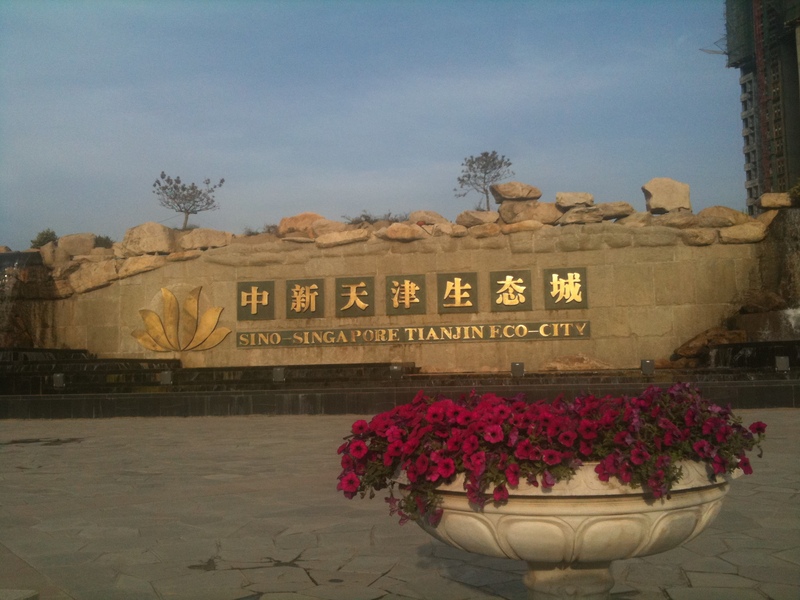 Criticism has been levied at the new Xiongan eco-city for destabilizing the local housing market, and the Tianjin eco-city has long suffered from volatile and expensive housing prices.10 A city which does not have affordable housing can hardly be an equitable one, so ensuring a stable and affordable housing market in Xiongan is essential. While officials have placed emergency stops on real estate transactions in declared eco-city areas when speculation has destabilized markets, such measures are only a poor substitution for the careful cultivation of a stable and equitable housing market. China’s eco-cities are some of the most ambitious sustainability projects in the world, testaments to how seriously China is taking climate change and urban air pollution. However, as can be seen with Tianjin, there is much more to creating a sustainable city than merely minimizing its carbon footprints. In areas such as comprehensive carbon output, social sustainability, and affordable housing markets, the developers and administrators of Xiongan eco-city can learn a lot from both the failures and successes of Tianjin eco city.